The new Cirrus blogsite for this year's Pacific Cup is up at cirrus2010.blogspot.com ! As of today, Cirrus has begun the delivery run to the mainland. Cirrus 1st Hawaiian Boat and 3rd in Division! Cirrus made it again through the Pacific Cup with a surprise win as the first Hawaiian Boat, and the usual booking of 3rd place in the division. No injuries to the crew, and (almost) no damage to the boat. Another wonderful race. The trophy for the 1st place was this beautiful wooden statue from Hawaiian King Kameameha. The new Cirrus blogsite for this year's Pacific Cup is up at cirrus2008.blogspot.com ! 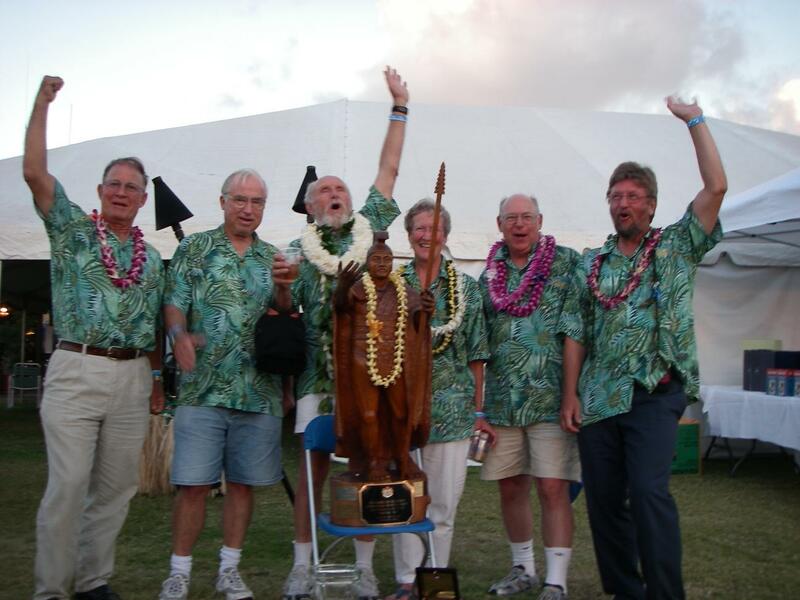 Cirrus will be racing again in the Pacific Cup, the Fun-Race to Hawaii, in summer 2008. And I will again be part of the crew, and again as navigator. And of course, you will be able to follow us online; details will be posted here. Cirrus is racing again! 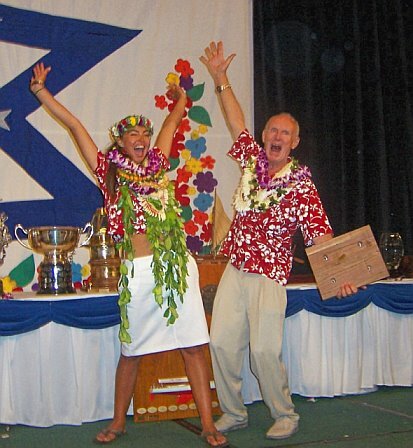 This year, 2007, she is in the Transpac 2007 race from Los Angeles to Honolulu, Hawaii. My Cirrugator racing software is the latest addition to boat, assisting the crew in the strategic decisions on navigation. See link in the sidebar. Try it out. Cirrus is racing again this year, 2006, in the Pacific Cup, the Fun-Race to Hawaii. Join us as a virtual crew member.